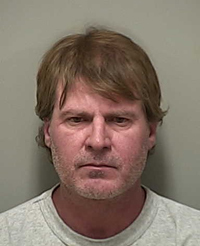 A Blaine County grand jury has issued a two-count indictment against a Blaine County man accusing him of second-degree murder and concealing evidence in the shooting death in January of Hailey resident Stephan Michael Romanchuk, 47. Forty-nine-year-old Keith Eric Blankenship, who remains in custody on $500,000 bond, pleaded not guilty to both felony charges at arraignment Monday in Blaine County 5th District Court. Judge Robert J. Elgee advised Blankenship that second-degree murder is punishable in Idaho by a minimum of 10 years in prison and a maximum of life. The crime of “destruction, alteration or concealment” of evidence is punishable in the state by up to five years in prison. The charges are the same as were filed in a criminal complaint against Blankenship in May. The issuance of an indictment transfers the case immediately from magistrate court to the higher district court. It eliminates providing a defendant with a preliminary hearing, when testimony and exhibits are presented to a magistrate court judge for determination if enough evidence exists to transfer the case to district court for further prosecution. The indictment, which was served to Blankenship in jail on Friday, alleges that he killed Romanchuk on or about Jan. 15, which was the day that Romanchuk was reported missing by his wife. Romanchuk’s partially decomposed body was found on May 15 under a pile of leaves at Blankenship’s residence on Deer Creek Road north of Hailey. The discovery followed admission to Blaine County sheriff’s investigators by Blankenship on May 14 that he had killed Romanchuk and hidden the body. Blankenship is represented by Hailey attorney Keith Roark, who was appointed by the court as public defender. According to court records, Blankenship claims he killed Romanchuk in self-defense. An autopsy revealed that Romanchuk died from multiple gunshot wounds to the upper body.